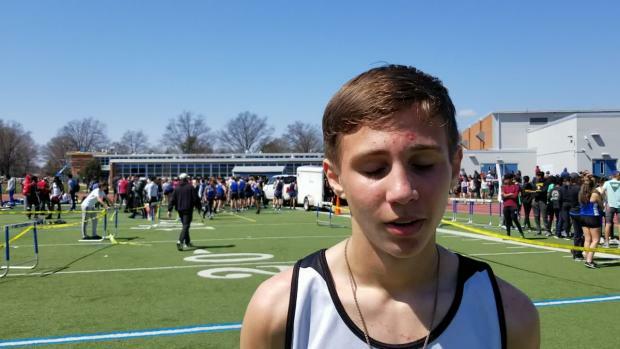 Freshman miler Marco Langon of Bridgewater-Raritan had a tough decision to make heading into this first high school spring season, to continue playing lacrosse or to switch his outdoor focus to the track. 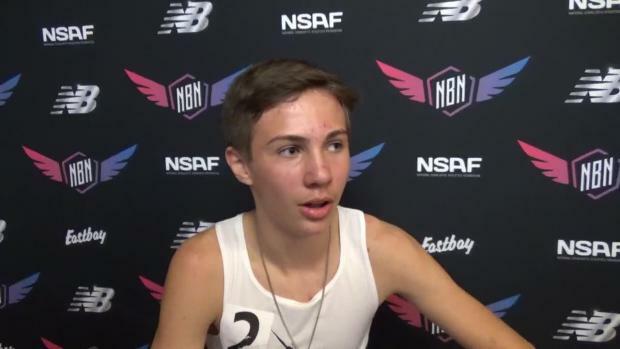 Well as it turns out winning the New Balance Nationals Indoor Freshman Mile was certainly convincing enough to help make that decision. 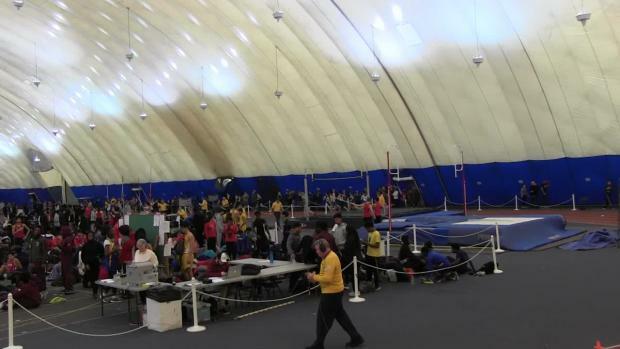 He won the freshman title this past winter season with a 4:26.72. 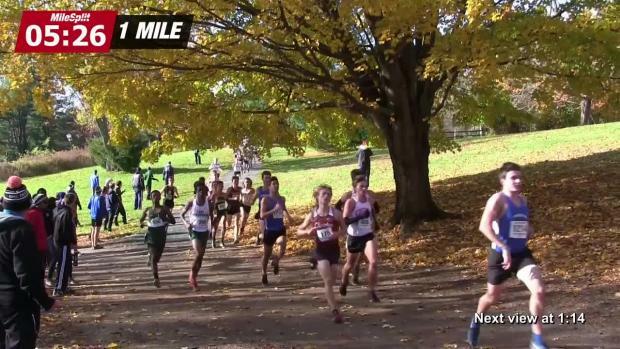 Which was NJ#35 overall on the season, the top freshman time in the state, and the fourth fastest freshman time in the country including 1600m conversions. Just a few days later and after playing one last lacrosse game Langon made the call to switch sports in the spring, "I was going to do lacrosse but ended up switching to do track, and I honestly think that was the best decision I've ever made. I felt good doing it and I'm just excited to move on." Although he didn't compete on the track in middle school he did have some middle school cross country experience. So this past winter season was his first real opportunity to train full-time on the track and just shows the untapped potential for this rising star. 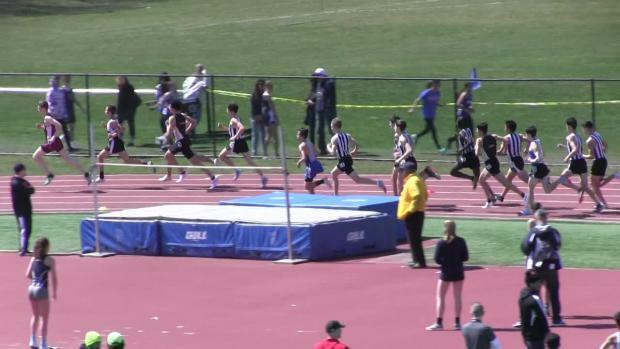 He entered opening weekend with a goal to break 4:20 in the 1600m, while he just fell short at 4:21.71 with what looked like energy to spare, he may need to lower that goal time sooner than later. Keep an eye on this freshman. 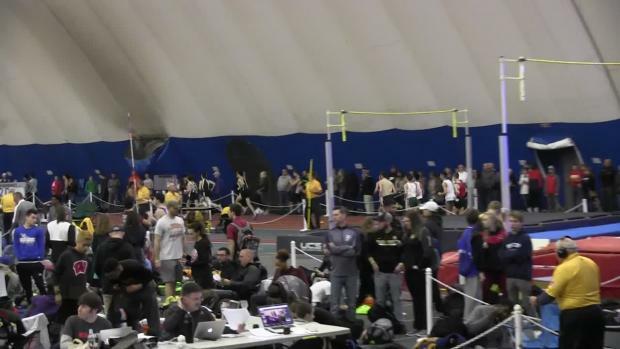 Watch his opening 1600m race from the Metuchen Relays right here.